You probably already know this, but I'm going to tell you anyway... I'm a bit of a dairy queen. I'm incredibly lucky that with all of my allergies I can still eat dairy, especially as I love it so much. But you know what? Dairy gets a bit of a bad rap from time to time thanks to fad diets and medical claims - and many people trying to lose weight think they should cut dairy out of their diet due to the fat or calories - but the truth is, it can actually help you to lose weight and dairy is full of so many essential vitamins and minerals. Case in point: Jesse has lost 25 pounds and he has eaten dairy the entire time. We eat dairy of all sorts - low fat dairy, full fat dairy, cheese, yogurt, milk - you name it. I really do believe that, if you can eat it, dairy is a fantastic part of a healthy diet - but I do understand that there are those that cannot tolerate dairy, just as I can't tolerate gluten and that's okay! 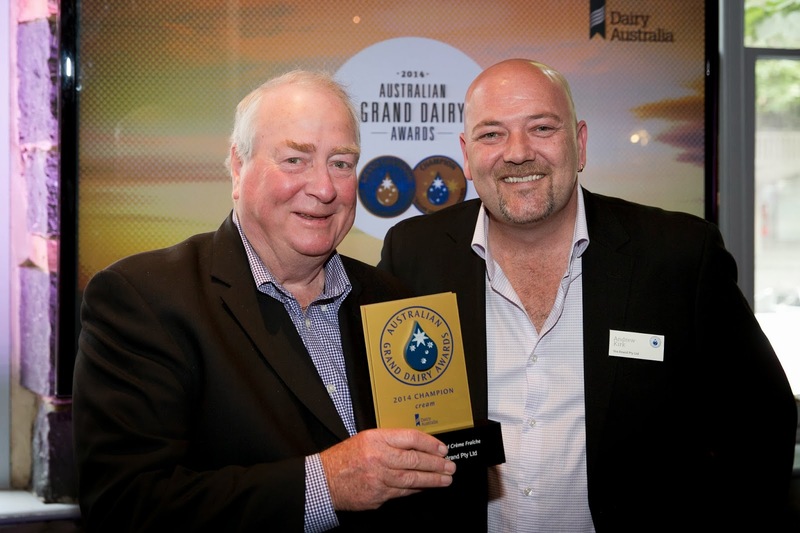 Dairy Australia recently held their 15th annual Australian Grand Dairy Awards in Melbourne. The Australian Grand Dairy Awards has 19 categories, covering everything from yogurt and gelato to butter and cheese. Dairy Australia wanted me to put one of the award winners to the test and create a recipe and I was uber excited. There were so many delicious sounding award winning products (see the full list of award winners here) and I probably would have happily tried them all, but I knew I wanted to create something different. What I decided to use was YEA Brand Dairy's Award Winning Creme Fraiche - an ingredient I'd never before used and a little bit of a challenge. 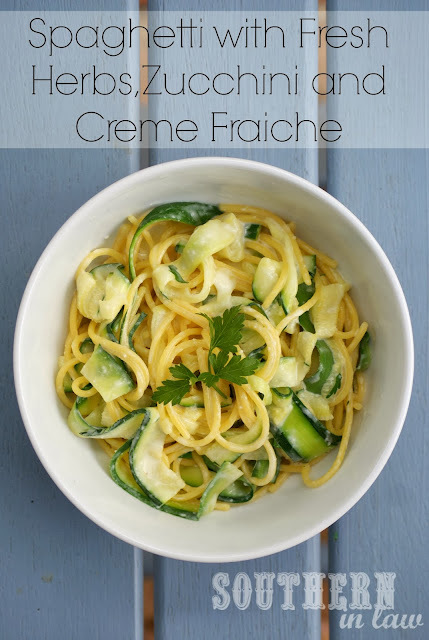 You see, Creme Fraiche is often viewed as something that's indulgent but I wanted to create a healthy recipe - and if you've been reading Southern In-Law for a while, you'll know that I love a good healthy challenge! What I came up with was a beaaaaaautiful pasta dish which really brings out the flavour of this incredible creme fraiche whilst still keeping things light, healthy and delicious. Now creme fraiche is definitely something I'll be keeping around as it's absolutely divine. It's full of flavour so you only need a small amount to make something delicious - we've been having it dolloped on top of healthy cakes or breakfast bakes and it's perfect for savoury dishes too - as you'll see in this recipe! 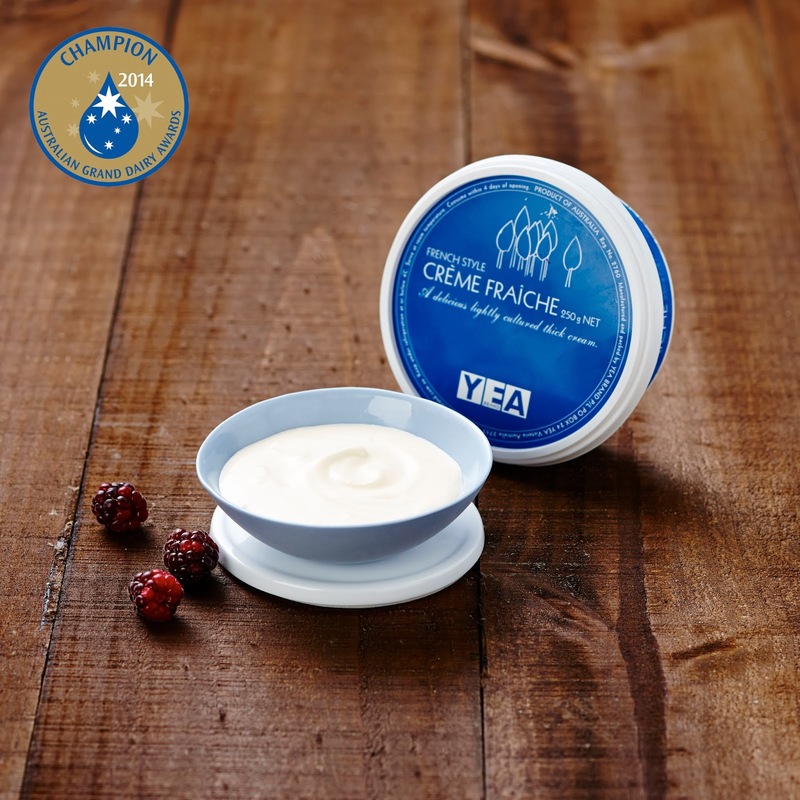 YEA Brand Dairy's Creme Fraiche is available at Thomas Dux, Harris Farm Markets, iDELI, Kirk Food as well as a number of other stockists. Slice or peel your zucchini into thin ribbons - we use either a julienne peeler for thin strands or a vegetable peeler and then slice the ribbons into thinner strands. If you're lucky enough to have a spiraliser, you can use that too. 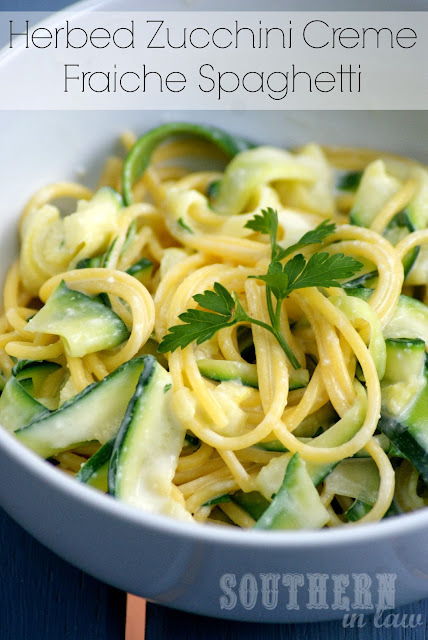 Cook your spaghetti according to the instructions on the packaging in a medium saucepan, adding in your zucchini in the final minute of cooking to allow it to soften. 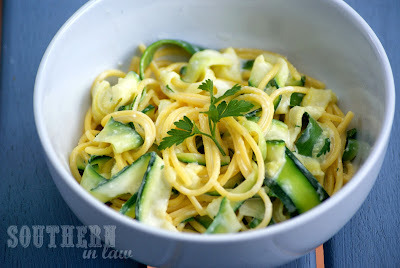 Drain and rinse your pasta and zucchini and add it back to the saucepan. Add the creme fraiche, garlic and herbs to your pasta and heat over a medium heat until the sauce begins to thicken. Take your pasta off the heat and serve immediately, topping with a sprinkle of fresh herbs or parmesan cheese if you desire. *For this recipe we used Sam Mills Pasta D'oro Gluten Free Spaghetti. You can use whole wheat spaghetti, wheat spaghetti or whatever you like best! But tell me, have you ever tried creme fraiche? What's your favourite way to use it? And which of this year's Australian Grand Dairy Award Winning Products would you like to try? See the full list here. This Dairy Queen wants to try ALL THE THINGS! Disclosure: Kristy and Jesse received payment for the development of this recipe from Dairy Australia, however, as always all opinions are their own and the recipe has been solely created by Kristy with no influence from the companies involved. Kristy and Jesse also received Creme Fraiche from YEA Brand Dairy to use in this recipe. For further information on Sponsored Posts and Recipe Development with Southern In-Law, please see our Media and PR Page.